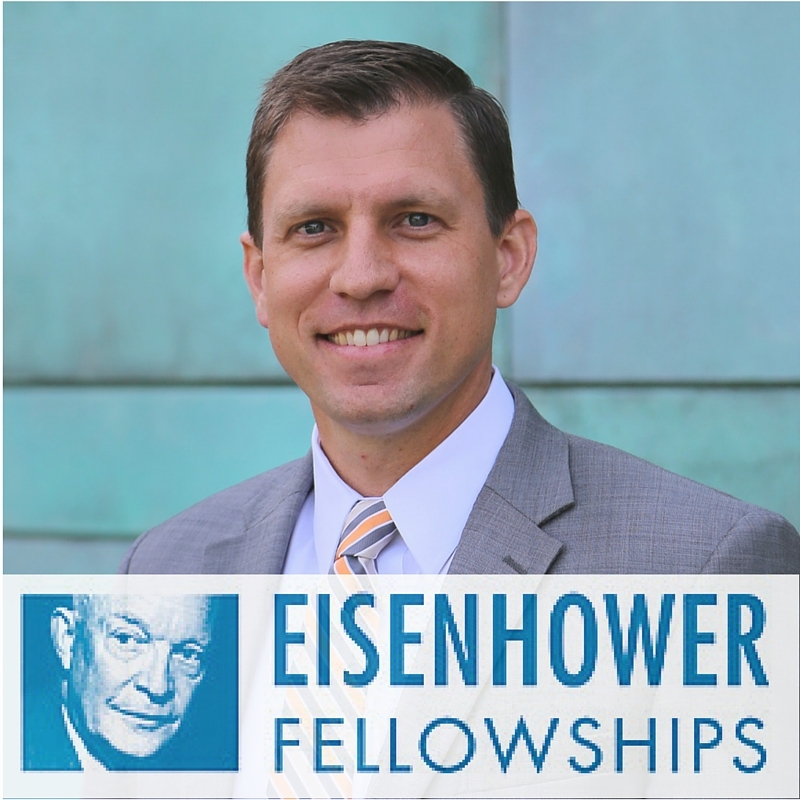 Our COO, Mason Ailstock, was recently selected to embark on an Eisenhower Fellowship during 2016. This is an exciting honor, and a great opportunity for all of us here at the Research Triangle Foundation of NC to learn from our peers across the globe. We’ll be sharing bits of Mason’s journey throughout the coming year, so stay tuned as he sets out on this new endeavor. Waiting to find out if I had been chosen as an Eisenhower Fellow was a true lesson in patience. Until I got the official word that I had been selected for the 2016 fellowship, my mind often wandered into places of “what if,” “why not,” and the inevitable “you’re out of your league.” The time also gave me the chance to reflect on the application that I submitted to the Eisenhower Fellows. Had it been enough? There are some extremely smart alums of the program – General Colin Powell, Dr. Henry Kissinger and Madeleine Albright – and I wondered how my program proposal would stack up. In the three years I’ve been with Research Triangle Park, I’ve learned how RTP has helped shape North Carolina’s global identity and how the creation of the Park spurred innovation and job growth across the state. For many other research parks around world, RTP has been the model to emulate. Now, after 56 years RTP has reached a critical point in its development that calls for a re-imagination of what the future holds. It’s made me curious: how can a research park continue to serve local communities while remaining an international technology hub? How will the redevelopment of RTP at Park Center shape the thinking for other research parks around the world? Those are the kinds of questions I pondered, and that I proposed to the Eisenhower Fellow nomination committee. Through my fellowship, I hope to learn and engage with other international parks. Understanding how other parts of the world are planning research parks that are inclusive to both education and business will be critical when figuring out how to successfully move RTP forward. I’m also very curious to learn how other countries are creating places where the humanities and science converge. Bringing together the worlds of art, writing, and culture and weaving them together with technology, data, and policy has the potential to create vibrant new economies. Research parks seem ideal locations for this convergence to occur in meaningful ways, producing consequential outcomes and inspiring change. It has been exciting to imagine being part of the global EF family. Surely it will be an opportunity where I am able to sustain and grow my knowledge by sharing ideas with others. In preparation for my time abroad, I have started discussions with leaders of research parks in Saudi Arabia, such as King Abdullah University of Science & Technology (KAUST) and Sweden, with the Lindholmen Science Park in Goteborg and the Swedish Incubators & Science Parks Association in Stockholm. My goal is to learn more about their different structures, history, and to understand their plans for the future. All of my initial conversations have served as a source of inspiration as I explore how to make the most of the fellowship experience. While I’ve still got a while to wait before heading off to learn, I plan to continue exploring options and refining my goals. If you’re interested in keeping up with me throughout this process, I’ll be launching a blog in November. You can expect to read musings leading up to the trip, and see photos and (hopefully) video interviews while I’m on the road. I believe it is a fundamental need of every individual to develop an appreciation for the diversity of thought, and I can think of no greater platform to fulfill that need than at research parks around the world.